The Y50-70 uses Nvidia Optimus Technology to automatically switch between the Intel GPU (for power saving) and Nvida GPU (for maximum performance). To manually set the default graphics adapter, you will need to set this inside the Nvidia Control Panel > Manage 3D Settings. But, when I want to set the Preferred Graphics for Corel VideoStudio Application, in the Preferred Graphic Selection, unfortunately I cannot choose High Performance NVIDIA Processor, it only shows Integrated Graphics. I get only 37 fps on a game name Test drive unlimited 2 i thought i wll get 60-70 fps but -_- even i5 cpus i mean desktop getting 60 fps on ultra settings on that game really a worst laptop with lame display shame on the laptop. Is there a way to disable the integrated Intel graphics processor entirely so that I may solely use the NVIDIA processor? However my Lenovo Updates claim that everything is fine and when I tried to run the Intel® Driver Update Utility I got an error message: "A customized computer manufacturer driver is installed on your computer. 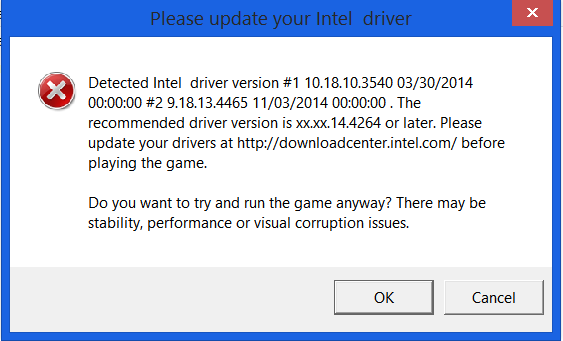 The Intel® Driver Update Utility is not able to update the driver. Installing a generic Intel® driver instead of the customized computer manufacturer driver can cause technical issues. Contact your computer manufacturer for the latest driver for your computer." Would appreciate a solution ASAP thanks. I dont think there is anyway to disable the intel card, because if u disable the intel card in bios the nvidia is long gone in the windows. So i think that this only means that the nvidia is an adon to the intelcard and embeded to it, as the intel socket is the master to the nvidia. So it means u have no option. Is there any one still following this issue? I just got my Y50-70 and notice the same issue. Not sure what can I do with it.